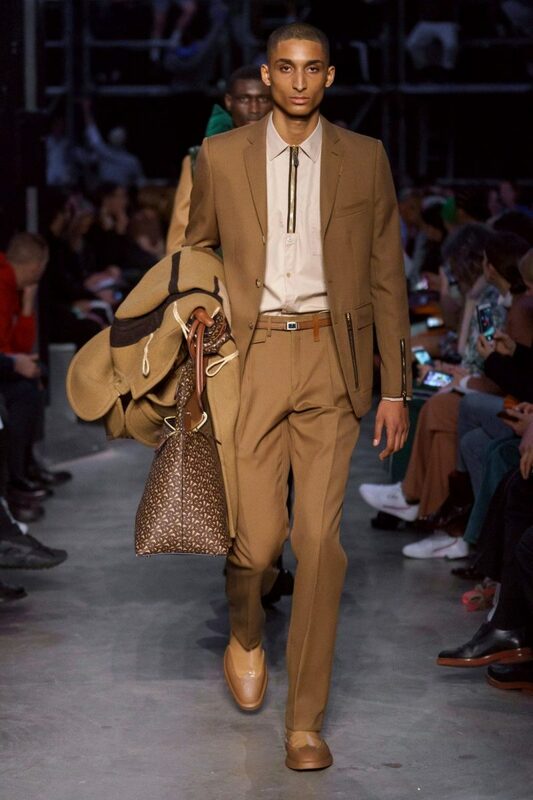 And breathe! 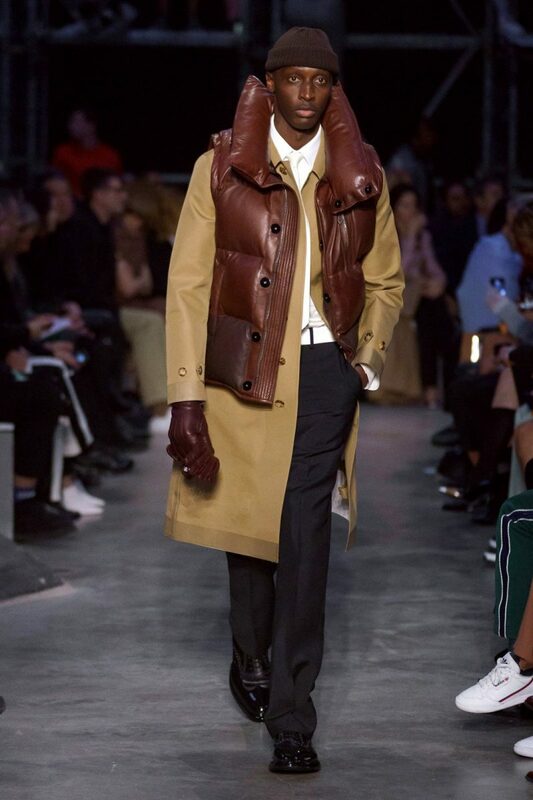 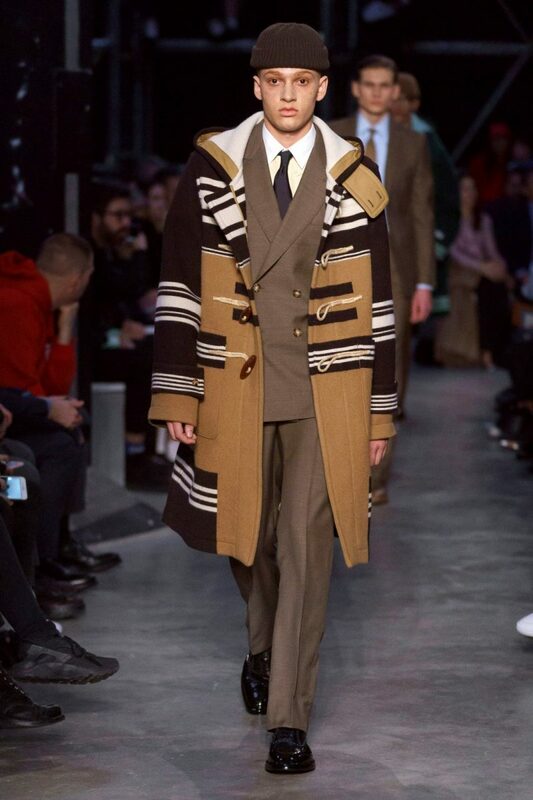 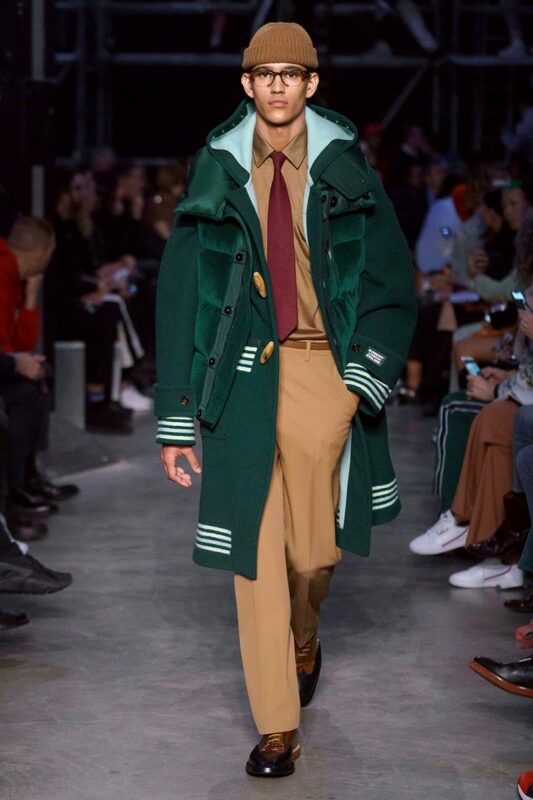 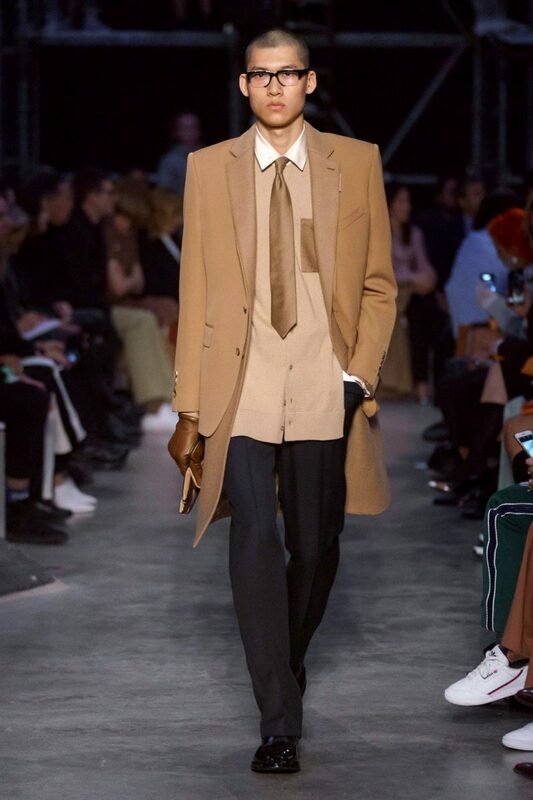 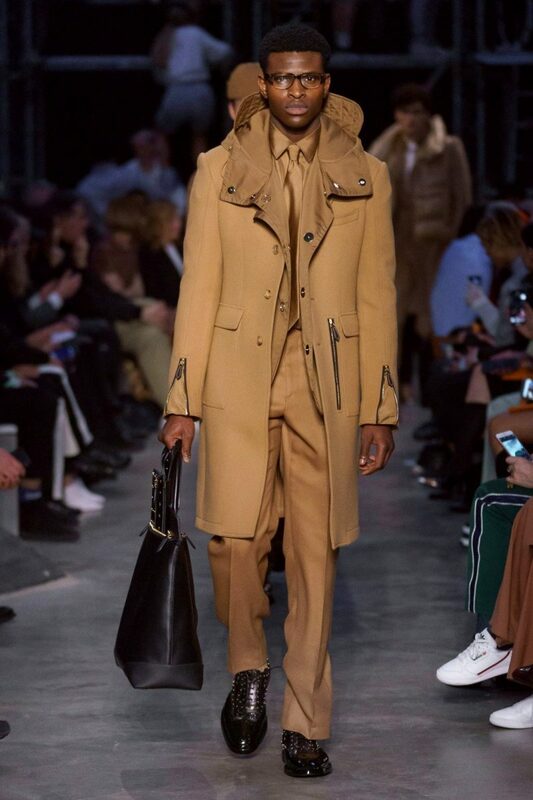 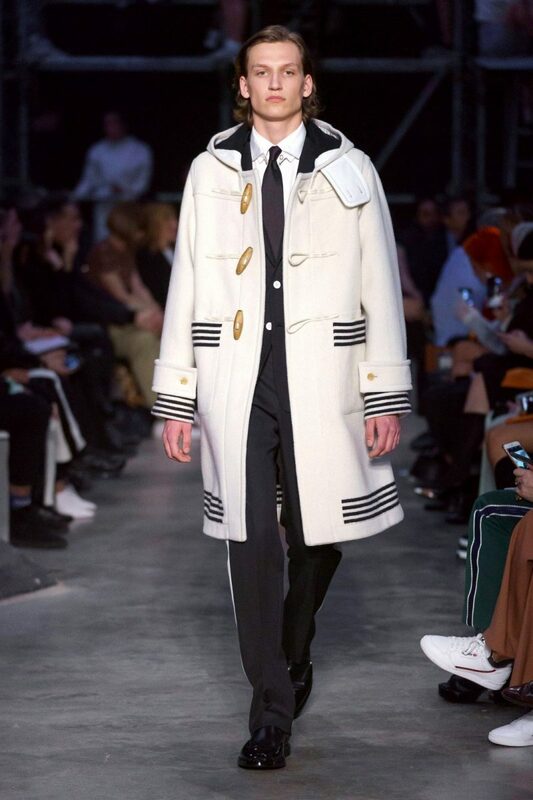 Serving a total of 106 looks was Burberry this season, whose collection exquisitely delivered a vast assortment of apparel ranging from a dashing streetwear selection right up to contemporary daywear with a light accentuation of formalwear. 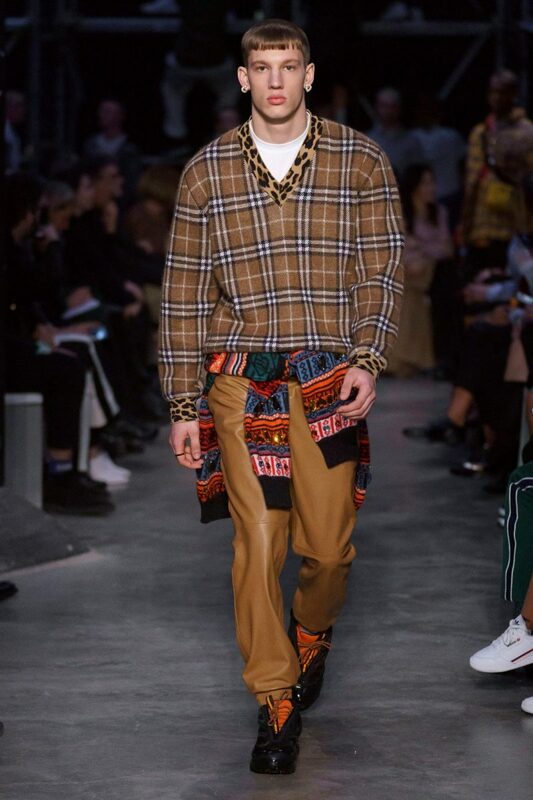 The AW19 show, led by Italian Creative Director Riccardo Tisci, was aimed to satisfy the longing of multiple target audiences, making it sparingly accessible for “all”. 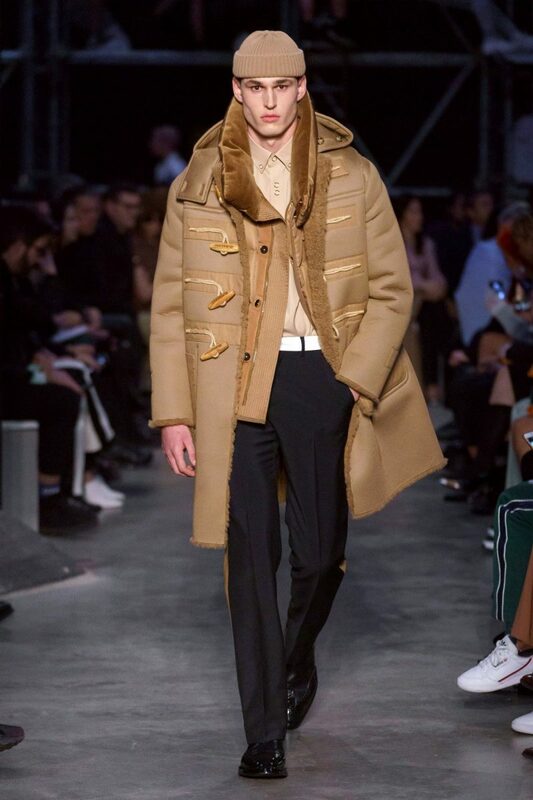 Defining “Burberry as a lifestyle”, the label urged to keep the British heritage intact by proposing an overall unconventional push in terms of silhouettes: experimentation was a key noticeable component, as a sequence of looks and apparel styles juxtaposed between one another. 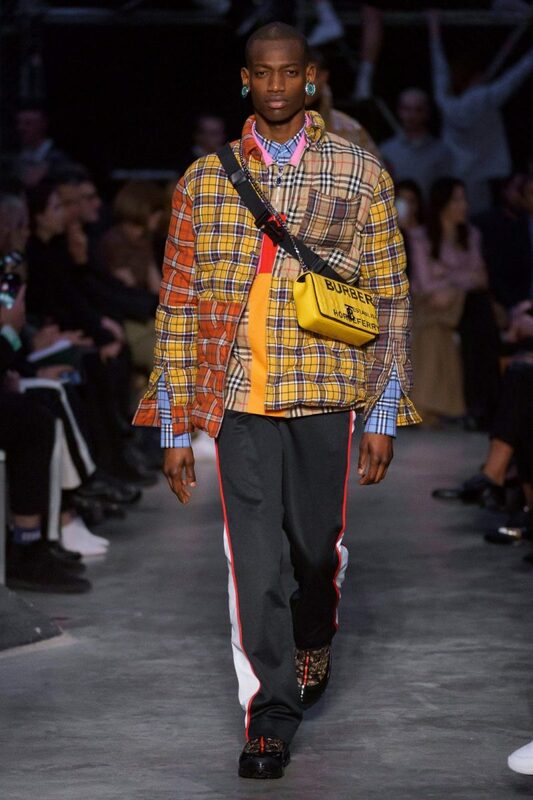 The rising of streetwear, however, comes in handy for the label attracting several audiences, with an increasing aim pointed at younger as well as future generations, pioneering a new way forward. Staple pieces stormed upon the runway with prodigious authority, ranging from sportswear, biker jackets, dresses, hooded puffer jackets and many many lingerie pieces. 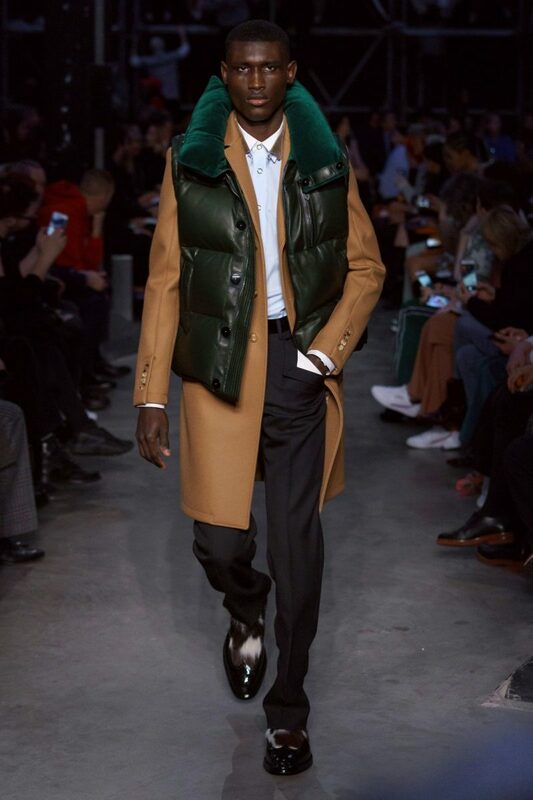 Besides, the contrasting facet saw Tisci’s “Burberryesque” urban definition being an utterly eccentric momentum, capable of inspiring an older bracket too, which – unquestionably – is constituted by wealthier pret-a-porter fashion hunters searching through the means of fine quality and outstanding sartorial resilience. 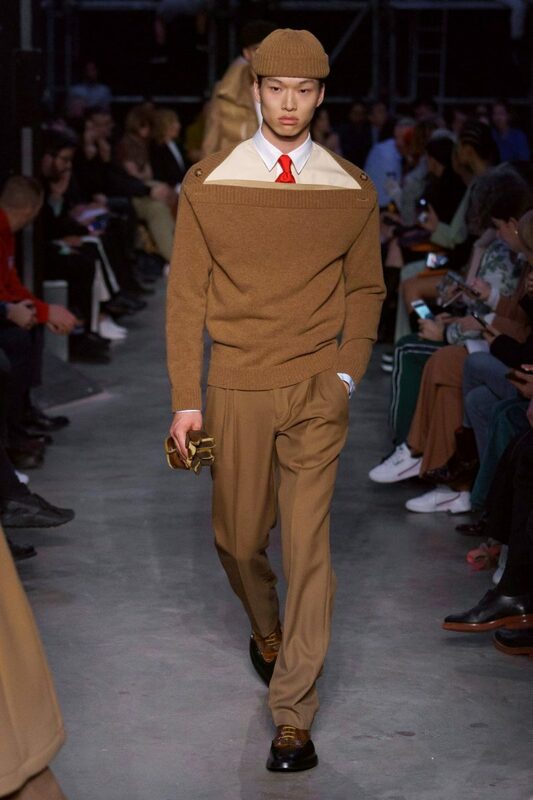 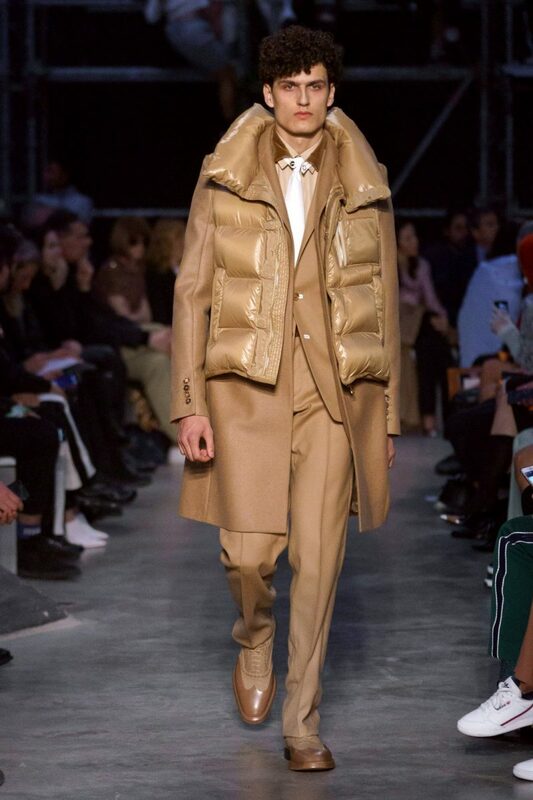 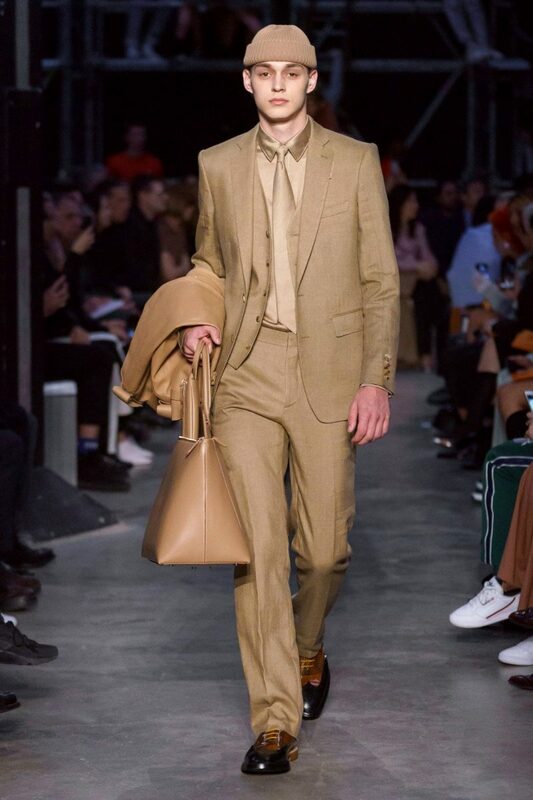 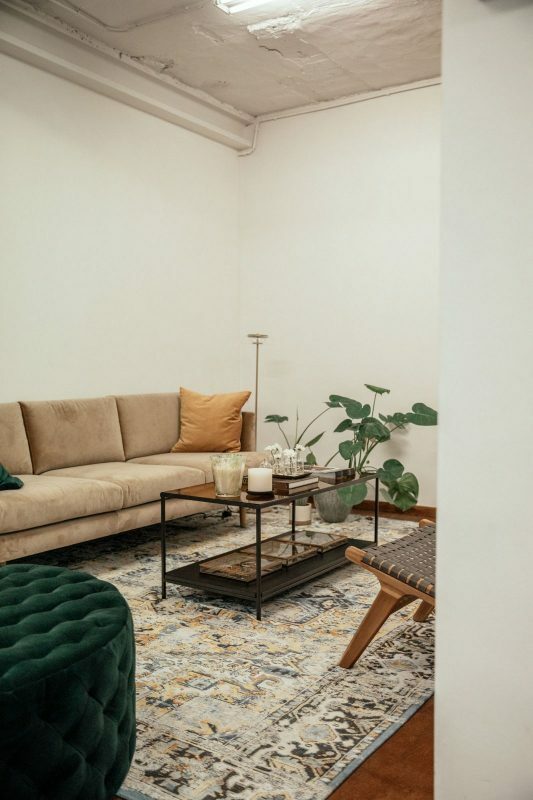 What isn’t to neglect is the rich palette of browns, varying tones of beige, the iconic camel presence, varieties of knitwear, striking evening dresses and utilitarian long-line outerwear. 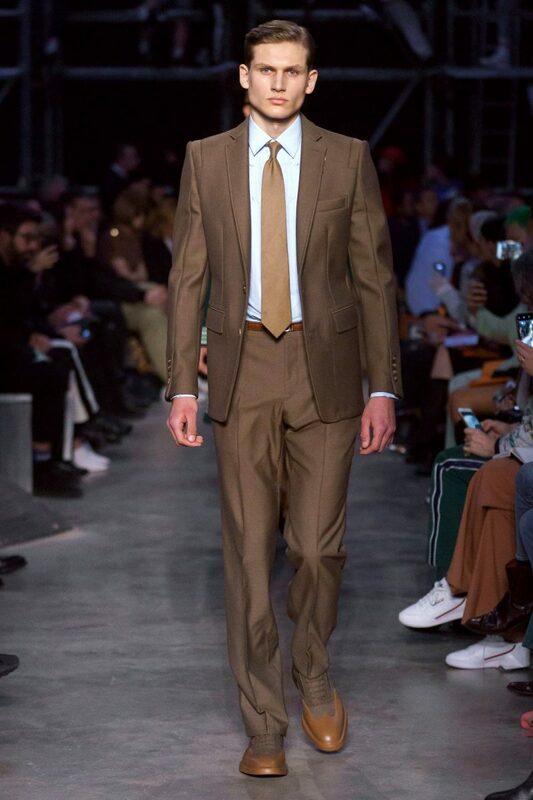 A succulent blend of tailoring ethereally prepared to satiate an all-round fan of urban-luxe.